Today marks Queen Elizabeth II as the longest reigning British Monarch in history. It is well-known that one of her favorite pleasures in life is her horses. 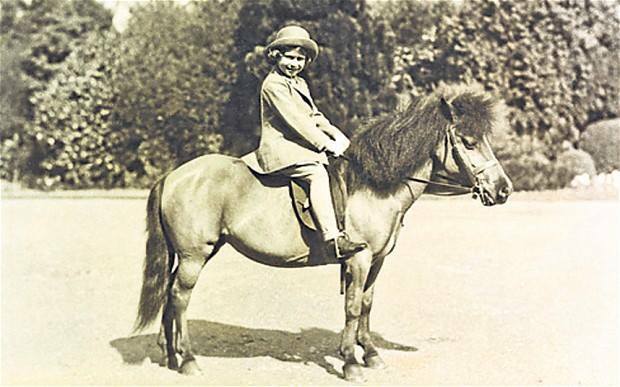 The queen’s love of horses goes back to her third birthday, when her grandfather George V gave her a Shetland pony named Peggy. She has proclaimed that she is happiest when she is riding on the back of a horse, and reads the Racing Post magazine every morning over breakfast. She is also an expert in thoroughbred breeding and blood lines. The Queen has embarked on several voyages to the Bluegrass state, taking place in 1984, 1986, 1989, 1991, and 2007, all of which she has enjoyed immensely. In October of 1984, the Queen made a private six-day visit to Kentucky horse country to tour some of the state’s most prestigious stud farms. During her visit, she stayed at the reputable Lane’s End Farm on the outskirts of Lexington in Versailles, Kentucky. Queen Elizabeth II has been known to keep many of her horses at this very farm. Her trip to the Keeneland races prompted the inaugural Queen Elizabeth II Challenge Cup race, with a purse of $500,000. In May of 1991, Queen Elizabeth II visited ten different Lexington thoroughbred farms in order to negotiate breeding arrangements for her several broodmares living in Kentucky. These farms are indeed fit for a queen. Although her four prior visits to Kentucky did not include a trip to the annual Kentucky Derby, the Queen finally attended the races in 2007 with her husband, the Duke of Edinborough. 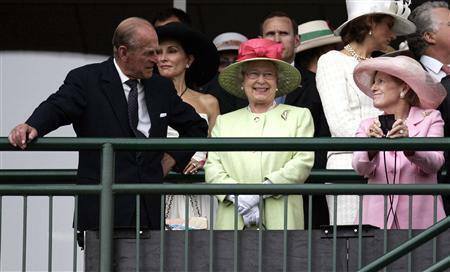 Churchill Downs’ course president Steve Sexton said: “Queen Elizabeth is certainly the most prestigious guest we’ve entertained in the modern-day history of the Kentucky Derby.” Queen Elizabeth was photographed smiling and clapping from her perch on the fourth floor Stakes Room’s balcony. Adhering to Derby fashion traditions, the Queen wore a stylish lime green coat and donned a matching hat with a large pink bow. Street Sense was that year’s winner. During the in-between years of her Kentucky visits, she continues to send her horses to be bred in Lexington, Kentucky, and usually has a representative present at the Keeneland horse auctions held in the fall. The Queen is due for another visit to Kentucky soon. Perhaps the monarch may sample the delicacies of the Bourbon Trail, or even venture west to the National Quilt Museum and climb aboard the Queen of the Mississippi or Delta steamboats.